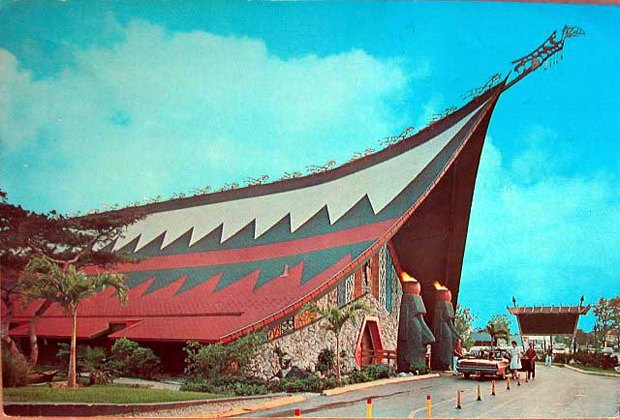 Architects Ned Eller and Ralph Sounik of Design Associates (Founders of SEM Architects) Designed and produced the Construction Documents for The Kahiki, whose name literally translates as “Sail to Tahiti”. 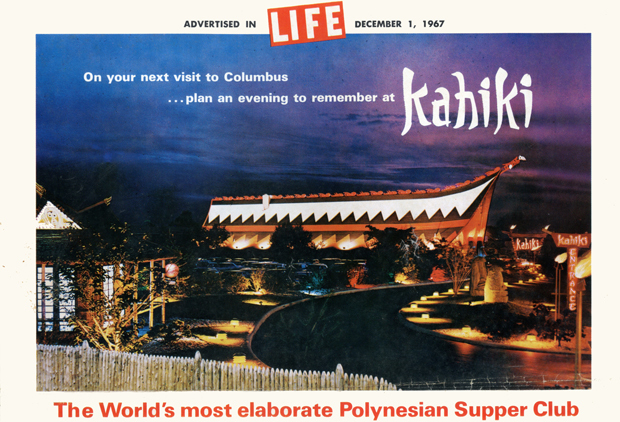 Construction began in June of 1960 at a cost of over a million dollars and the Kahiki opened her legendary doors in February of 1961. 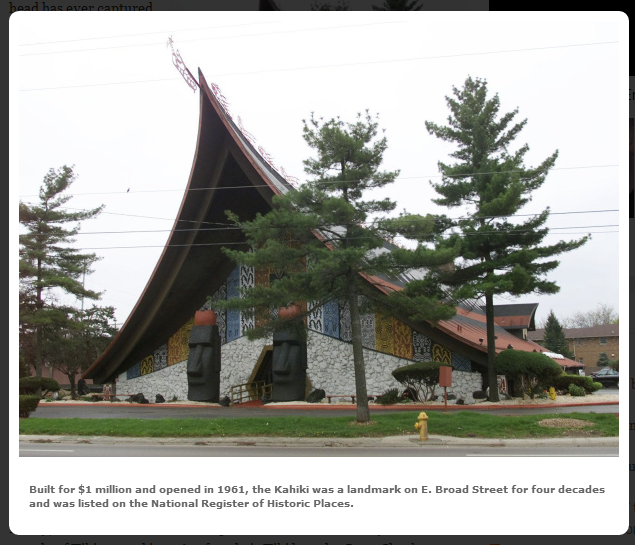 The design of the building was based on men’s meeting houses of New Guinea and the details featured along the curved roof were found on many of the war canoes of the region. Pelicans and fish lined the apex of the roof, thought to be symbols of plentiful good food. Two replicas of the Easter Island heads stood guard at the doorway that was lined with murals to ward away evil spirits. In 1997 the building was put onto the National Register of Historic Places. The building was sold to a pharmaceutical retail chain and was demolished in the year 2000.